Our baby celebrated his 2nd month yesterday. So, we decided to cook today as achie and family dropped by for dinner. 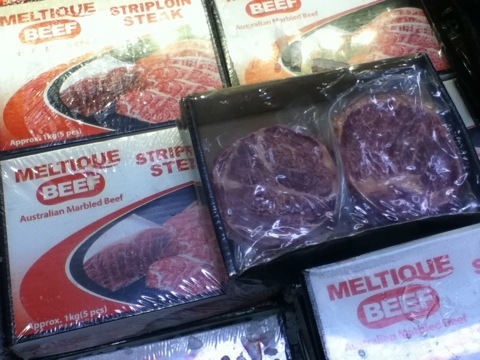 After going to the metro kitchenware sale, we proceeded to S&R to try out their Meltique beef. We had our first try of this beef at Deli Boys located at Northeast Square, Greenhills. It was delicious! The marbling of the beef is superb and it just melts in your mouth when you bite it. 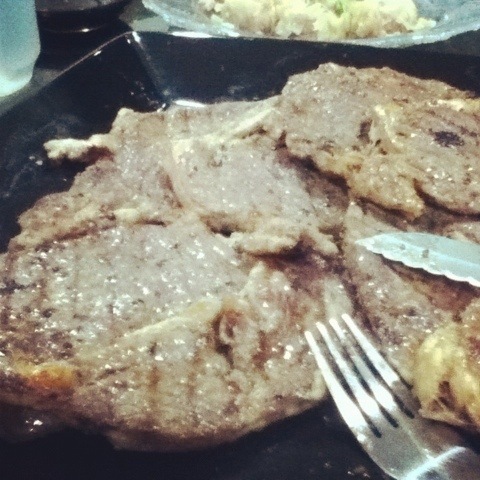 The striploin is around php150/100grams while the rib eye is around php160/100grams. My cousin mentioned that S&R also has it so we tried theirs. 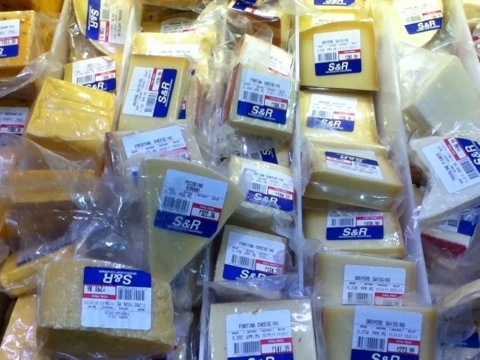 Also bought a few cheeses as I’m thinking of making grilled cheese this week. Saw a lot of holiday baskets in S&R. 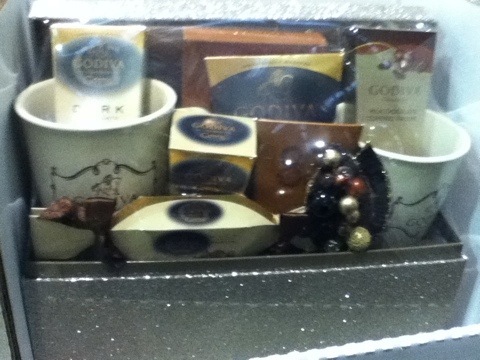 This Godiva package looks delish! 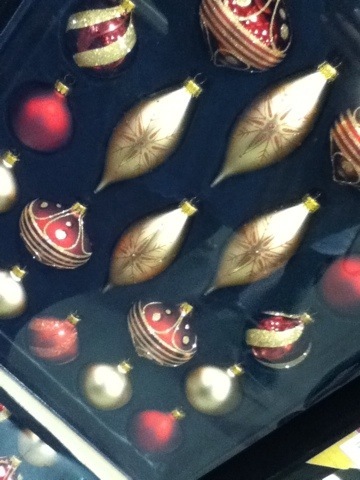 Holiday is already in the air with Nativity, Christmas lights and accessories being prominently displayed in S&R.